Gold Pebble Earrings in 14K Three Tone Gold . 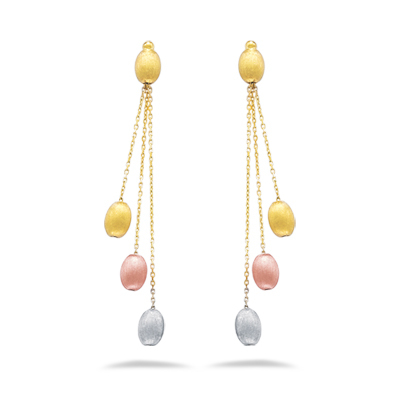 These fascinating Three Tone Gold Pebble Earrings are embellished in 14K Pink, White and Yellow Gold. These earrings will triumph you in beauty, fashion and style.